Don’t Forget These Things When Bringing A Furry Friend Into The House! For a lot of people, no family is complete without a dog. A furry friend to keep you all company is often the final piece of the puzzle for a lot of families. It often doesn’t matter whether they’re big, small, young, old, or anywhere in between, dogs can bring huge amounts of joy and love into your life. However, that doesn’t mean that owning a dog is always going to be easy. The truth is that dog ownership can come with a lot of challenges that you have to ready for, if you’re not it can end up causing a lot of problems for you and your family. With that in mind, here are some things that you should never forget when bringing a furry friend into the house. Kids and dogs go together like nothing else in the world. They make perfect playmates and best friends that will be joined at the hip from day one. However, it’s important to remember that, as cute and loveable as your pooch might be, they are still an animal, and they don’t necessarily understand how fragile little ones can be. If your dog starts to play a little rough, it won’t mean to, but it could end up hurting your child if you haven’t trained it properly. Similarly, really young children often don’t know how to act around dogs and can end up making their lives incredibly stressful by pulling on their fur, trying to ride them, and just generally acting like little kids. 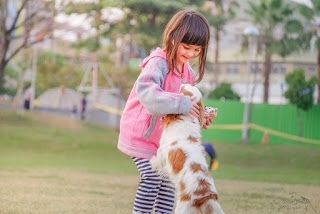 You need to make sure that your kids are old enough to fully understand the responsibilities involved in owning a dog and how to properly interact with them so that everyone is as happy and comfortable as possible. It’s not something that a lot of people want to think about, but when you bring a dog into the house, there’s a chance that you’re bringing in some pretty unwelcome hitchhikers too. Whether it’s fleas, ticks, or any other creepy crawlies, the idea of your home accidentally becoming infested can be enough to make anyone’s skin crawl. 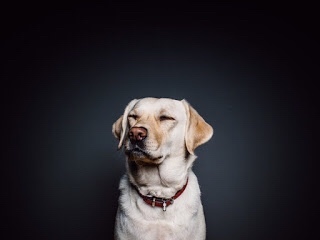 You need to make sure that you’re checking your dog’s fur for pests as regularly as possible and, if you find any, dealing with the problem right away. There are plenty of products like Pet-Lock that can get rid of any nasty visitors very quickly and you can find more info here about them, but you also need to spray around your house to deal with any who may have ended up in your carpets. If things get really bad, then it’s a good idea to take your pooch to the vet and get something a little stronger for them. Dogs need exercise. There are no ifs, ands, or buts about it, that’s just a fact of life. They have huge amounts of energy, and they have to do something with it, or there’s going to be big trouble. There may be days where you just don’t feel like taking them for a walk, but that won’t cut it when you have a dog. If you don’t take your dog out for regular exercise then they’re going to end up getting incredibly over excited and frustrated, and that’s not only going to lead to them feeling tense and upset, but it could result in your home getting demolished as they run around the place trying to burn off some of their excess energy. Anyone who’s ever had a sofa on the receiving end of an overly enthusiastic puppy’s jaws knows exactly what happens when you don’t help your dog burn off their excess energy. If you’re not willing to take your dog out and exercise them every single day, then you need to seriously think about whether or not this is a responsibility that you’re ready for. This is something that a lot of people really don’t want to think about, but the truth is that dogs cost money. Quite a lot of money in fact. Sure, there’s the obvious cost of buying a dog, especially if it’s a puppy for a pure breed, but even if you’re adopting a dog, there are still a lot of costs that you need to consider. For one thing, the simple cost of feeding a dog can be surprisingly high. Not only that but you’ve got bedding, toys, grooming, and a whole host of other things to consider. Then, when you factor in things like vets bills the costs just keep climbing. Now, these costs often aren’t enough to stop people wanting a new furry friend, but it’s definitely worth being aware of them in advance. Your life isn’t going to just stop because you’ve got a dog, you’re still going to have to go to work, or see friends, or just leave the house to buy food. However, when you’ve got a dog, you have to consider the consequences of leaving them on their own. Dogs are social animals, and they don’t like being left alone. If you’re going to work all day, then consider having someone come and spend time with them, whether it’s your partner staying home with them, or hiring a dog sitter. Of course, if you’re in a position to, you might even want to take them to work with you! Don’t think that this is all somehow meant to discourage you from getting a dog, far from it. There are thousands of dogs out there looking for loving homes to take them in. However, it’s a far too common occurrence that people take in dogs without really understanding the responsibility of doing so, which leads them to give them up not long after. That kind experience can be incredibly traumatic for a dog, and it can be very upsetting for your family as well. So make sure that bringing a dog into your home is the right decision for you and your family before you jump into anything. Previous Article Can Your Dog Really Get Depressed? So important and people really need to realise this! especially when they get a pet for 1 season! Great tips! I want my kids to grow up with a dog like I did – but there are so many things to take into consideration! We need a bigger house first lol. Such important things to think of before getting a dog that are often overlooked!